Today’s teens are savvy, and technologically advanced compared to their parents at the same age, and have a love for technology that integrates with life. Check this list out for items that will stimulate their electronic needs, help improve their daily living, and make the most of their time. Let the world know what you’re saying with this piece of tech where you share a gif or make your own sideshow and display it on this wearable smart display. You can share causes, subscribe to feeds, support local teams or use the panic button that sends a map link and text message. Finding it hard to reach that quiet place in your mind? Then reach for muse and it will guide you home. A personal meditation assistant, this device reacts to your state of mind and sends weather sounds relating to your mood – peaceful when you’re calm, and wild and windy when you’re not at rest. Don’t dance to the music but let the music ring out to your moves with this clever gadget that creates music whenever you move. Expandable to a second device, you can record your created sounds and share on social media – there’s no end to the music you can incorporate. This clever spherical camera creates spherical videos, up to 3 minutes in duration, and comes with an app that allows dedicated viewing and tools for size, shape and composition alteration. There’s fast Wi-Fi transfer, wireless sharing and an SDK which allows users to develop their own apps. Forget counting sheep and instead reach for this handy metronome and light system that’s getting people off to sleep quicker, without the need for pills. With a touch sensitive surface to indicate exercise choice, you can complete an 8 or 20 minute program designed to help you drift off. For fun at a party there’s nothing like an instant camera for those whacky poses and daft expressions. This bad boy sports 2 modes of shooting as well as instant, instinctual focus and comes with a fully automatic shutter to help novices. It makes photos and selfies easy, whatever the occasion. Have connectivity on your wrist with this smart watch that links to your mobile and can keep you updated at the flick of your wrist. With GPS connectivity for monitoring sports activities and water resistant up to 50 meters, this watch complements your healthy lifestyle in a digital age. Take the whole band with you when on the move with this fun piece of tech that lets you slide, drum, tap and strum your way across whatever tune you want. Playable with frets or without, it behaves as a guitar, bass, lap steel, keyboard, violin and much more all in one instrument. Put together a DIY Bluetooth speaker of your own and take it with you for amazing sounds on the move. Solve the puzzle and you’ll build this self-made player that can jam for up to 10 hours on a single charge in a vibrant, geometric design that will please music and tech lovers alike. Connect your teen to a world of movies and high definition television with this clever piece of tech that has a 10X fusion chip for ultra-fast graphics and performance. With Dolby Digital Plus 7.1 surround sound, they’ll hear everything like it’s beside them when they call up their favorite programs by asking Siri. Trouble getting out of bed in the morning? Then get Clocky, who will jump down from a 3 foot high nightstand before running off in various directions, beeping away until you get up. With customizable settings, this is the alarm clock that takes no nonsense from those who flee from the dawn. Take office boredom into the 21st Century with this fold up airplane that can be further controlled after launch on your smart phone or tablet. At speeds of up to 25 mph, this airplane performs acrobatic tricks on command via the Bluetooth enabled device and downloadable app. Take selfies to a new level, somewhere that long stick can’t get your mobile to. This cutting edge camera takes to the air to shoot your selfie from a position noone can reach as it lifts to hover heights of up to 65 feet and a resolution of 5 megapixels. No longer reach to your pocket or bag when you see something you want to capture in your photo logs. These smart glasses have a built in HD camera which enables you to take pictures or videos at the press of a button, and has a built in flashlight for those nighttime captures. Augment your reality with this clever pair of adjustable lenses that twins up with your iOS or android smartphone to make an immense virtual reality headset. With soft foam for comfort, there’s over 300 apps, games and virtual reality experiences available to explore new worlds and play times. This interactive model of the moon begins with a 3D printed, hand painted model of the moon based on years of data collected by NASA. Then, with the aid of your smartphone, you’ll unlock history, photos, video content and more to visually linked points on your lunar model. These smart light panels look simply stunning on their own or when interconnected to create a clever design for your room. But they really become fascinating when you connect a smart device and play music, as they begin to “dance” with a constantly varying pattern of colors. Make your own synth sounds with this clever kit that lets you construct 3 different mini synthesizers to make your own DIY music. Requiring only a 9V battery and internet access for easy to follow instructions, you’ll be able to experiment to customize your synth even more. Organize your gaming space with this clever keyboard that separates to allow you to keep your controller or joystick central to your gaming experience. Allowing up to 20 inches of separation, the dividable keyboard is fully programmable and has detachable palm supports, detachable cables and 4MB on board memory. Impress your friends this Christmas with this powerful speaker that has a spacecraft floating elegantly in the space above it, with a unique automatic launch and land levitation system. There’s also a high quality speaker system and up to 8 hours battery life to ensure this is no gimmick. This 128Gb iPad operates on iOS 9 and couples a slim and light design with an ATX chip for fast processing of the myriad of apps available for the device. The 12.9 inch retina display is sharp and clear, as you would expect from one of the most popular tablets on the market. Don’t just charge your phone to keep it healthy but instead sanitize it as you charge, killing 99.99% of bacteria with the included UV light. The device fits and charges any phone and has 2 charging ports on the back of the device, a USB and a USB-C, allowing charging of a secondary device. Put yourself in the mix with this playful gadget that puts a digital recording tool in the palm of your hand. With a mere press of a button, you can capture vocals or other sounds and then manipulate them with loops and pitch bending playback for all round audio fun. Stay connected wherever you are with these groovy lamps that are linked in to each other to let your loved ones know you are thinking of them. Connected by Wi-Fi and internet links, a touch on one lamp creates a reaction on the other, showing a thoughtful moment to your closest person. Keep it small, but with top quality, with this mini mixer that requires no power source but instead taps into your mp3 player, laptop or phone, to instantly amp up your beats. Compact enough to be taken anywhere, this mixer still has enough functionality to cut it at any party, making it the perfect Christmas gift. Control your teen’s stress with this respiration sensor that measures their breathing patterns all day, to help them keep on top of their anxiety and stress levels. Advising when their breathing becomes agitated or erratic, they’ll be helped back to a restful place by visual exercises and guided meditations. Imagine being able to carry out a task just by pressing a button. Well, this satisfyingly squishy silicone button can be programmed for up to three tasks with the easy to use app and by connection with your phone’s Bluetooth. Available as a single or a set of three. Keep an eye on all your daily activities with this smart band that is a 24/7 fitness tracker, step and distance counter, heart rate monitor and sleep monitor all in one. With a 1 year warranty for peace of mind, it’s waterproof with a 3 day battery life and charges in just 90 minutes. Have a watchful coach in your ear as you work out smarter, adapting to the changing instructions as your electronic coach adjusts programs, in real time, to your physical needs. Complete with a 12 month trial to the Vi trainer app, these wireless fitness tracker headphones will keep your workouts keen. This robot makes a perfect companion for a teen as it is app controlled through a Bluetooth SMART instant connection, and has a tough polycarbonate shell to take a pounding when travelling at speed. A range of tires makes it flexible for all terrains lasting up to an hour on a single charge. With the resurgence in Star Wars movies, this familiar droid will be a welcome gift with its authentic movement from bipod to tripod stances. Complete with the little droid’s famous sounds, the robot can be controlled via an app that uses character specific commands to program R2-D2. External hard drives are incredibly useful with the amount of data we use and store, but they can be fragile. With this blog you can build a wooden protective case for your data holder by following the easy instructions, complete with helpful photographs to check your progress. With the money invested in today’s smart tablets, you can’t help but worry about the storage and display devices that support your investment. This blog gives a solution to these worries in the form of a copper pipe holder that securely keeps your hardware in place whilst looking attractive and minimal. In today’s techno age we seem to have a multitude of cables lying around the house, many over a meter long. Tidy up this problem with the neatest of solutions found in this blog, a fix that not only prevents loose cables but also one that won’t break the bank. Make this Christmas the best so far with these fool proof gift ideas that any teen is sure to love. No matter where his interests lie, your not-so-little boy will be bowled over when he sees what ‘Santa’ has brought him. Time to start prepping for Christmas! Whether, for you, that means ordering your XL turkey with trimmings or starting on your gift shopping, you need to take a stop here because the cutest yet quirkiest gifts for teenagers are waiting inside. Teenagers are known to be miserable, always feeling like the world is against them and that their life is so hard. Cheer them up with presents from our list. 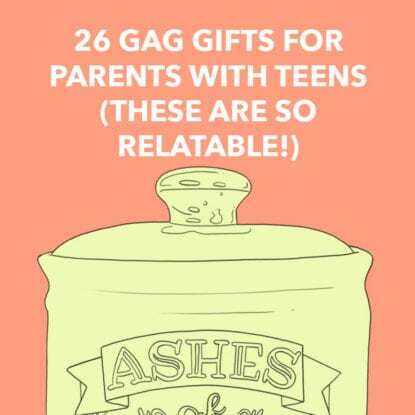 It’s bursting with teen gift ideas which we’re sure will turn that frown upside down.